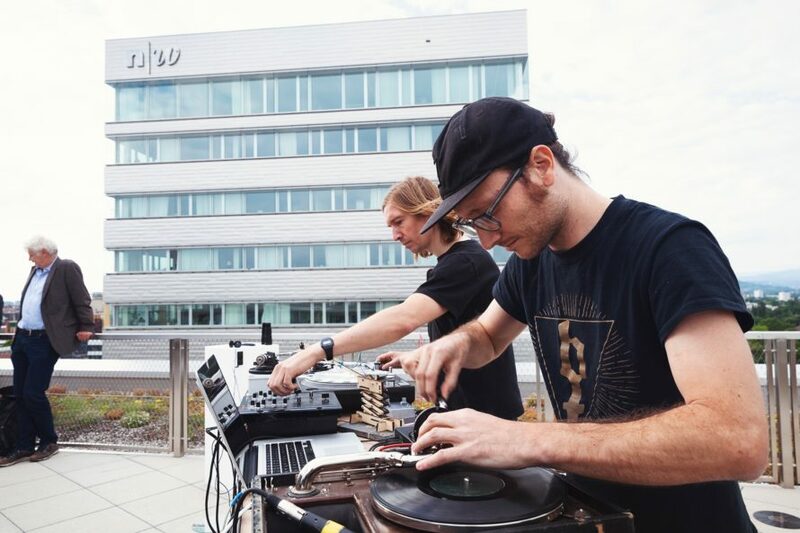 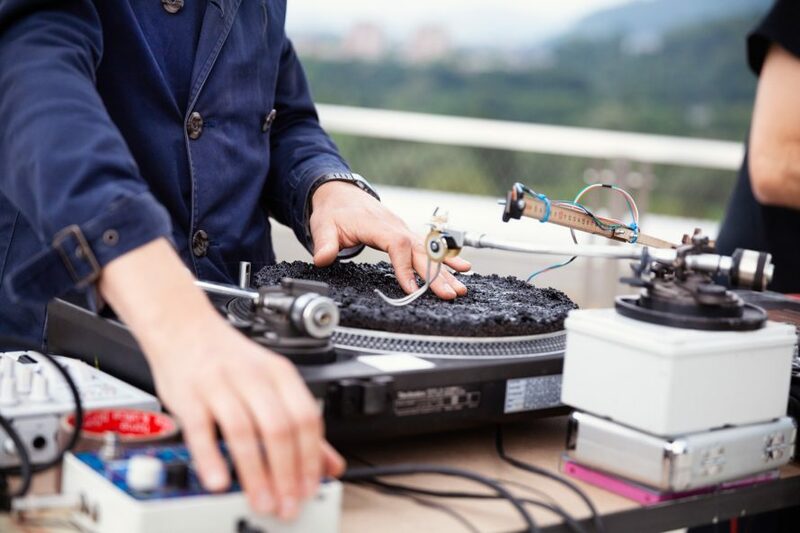 The Extend your Radius Project was a multisensory dinner, which took place on 13th of June in FHNW Highrise Building, concerning the topic of the Symposium «Poetry of the Real-Imagination-Friction-Transformation». 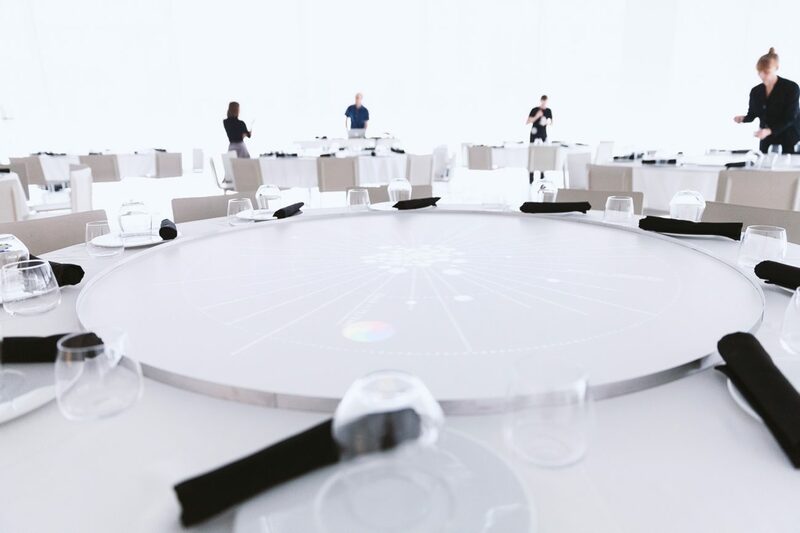 The main idea of the dinner relies on the potential of the «extended» people’s radius when it happens to overlap with others. 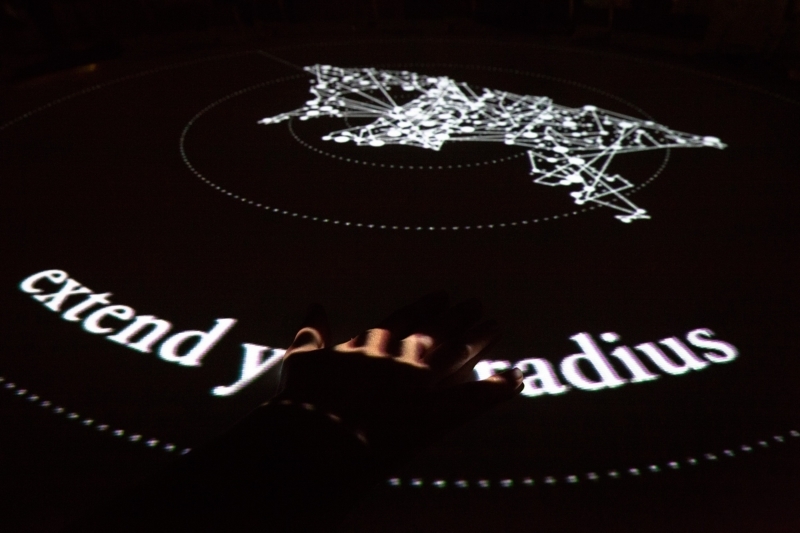 With the term radius, the students of the Master Studio Scenography and Exhibition Design attempted to figure out the multiple character of the Dreispitz Area. 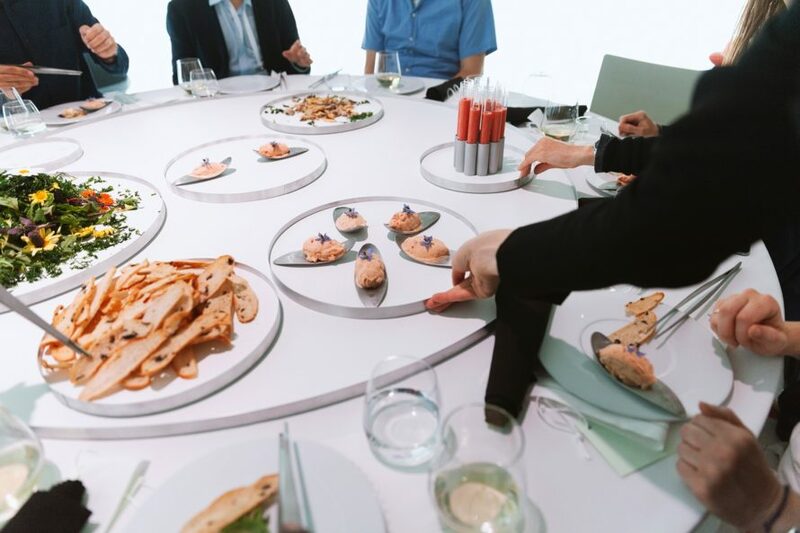 The format of the dinner was structured in such a way, where moments of «constructive» friction among the 60 guests would arise, no matter if that means collaboration or conflict. 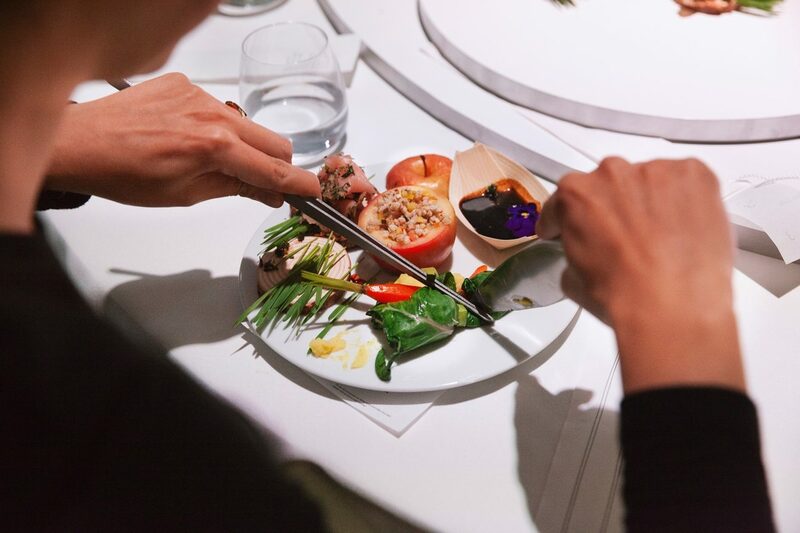 The construction of the table and the «mono-zeug» cutlery set, provided by the Mono manufacture, helped the guests to collaborate in order to share the food creating fields of discussions and new experiences. 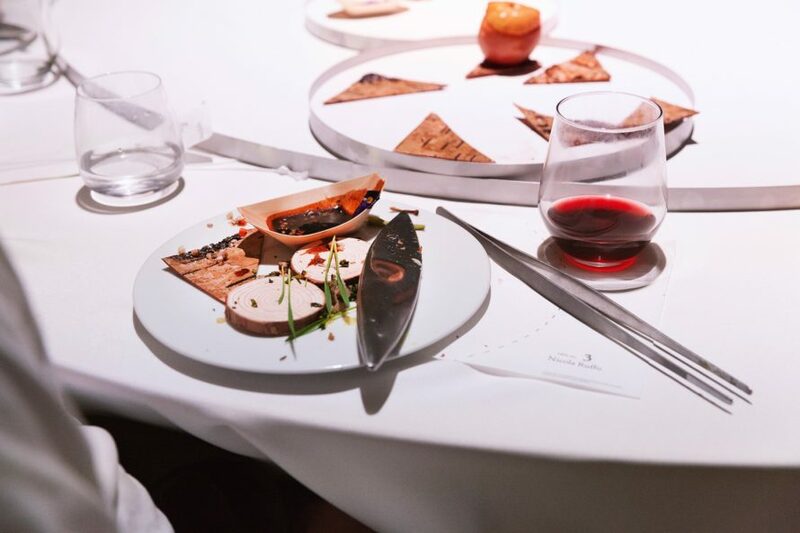 In between the courses there were projections and a sound performance by Dominick Boyle, introducing the topic of the radius enclosing different aspects of the dinner such as the radius of the food, of Dreispitz and the guests’ radius, as one of the most important one. 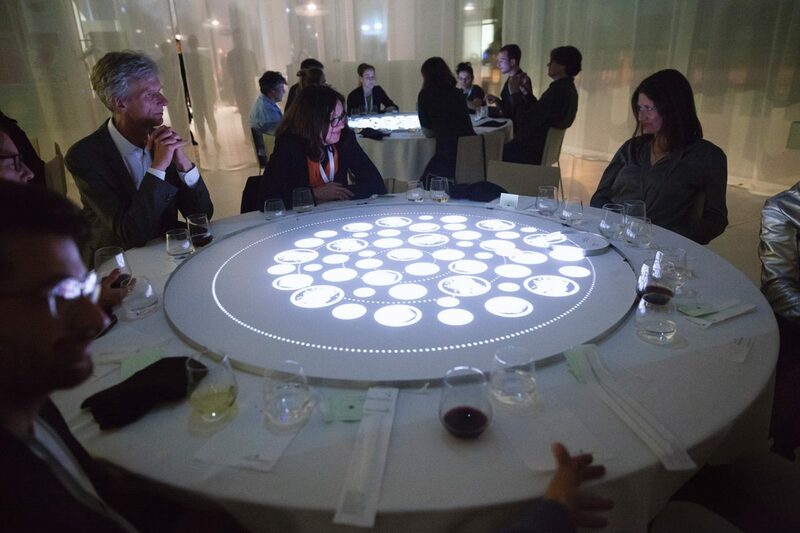 The main idea of that dinner was to bring different radii together, triggering discussions, questions and conclusions on a food table.